A mature Christian man said to me: “I wish Jesus would come down in our midst now and take us back to heaven with him.” This frank, sincere statement arrested my attention. This was not a sudden, impulsive, irresponsible utterance of a man who despaired of life, who had grown weary of insoluble problems and so depressed with life’s unfavorable circumstances it no longer held for him any attraction or meaning. It was, rather, an expression which disclosed his faith in the promise of the Lord to return, and revealed bright expectancy of his heart of a future life far better than this one on earth. This statement of an unusual man prompted me to search the Scriptures for the promise that Jesus is coming again. I wanted to know the “how” and the “when” along with “what” would attend this most significant event. All of the answers to the questions people ask concerning this momentous occasion are not easily obtained. The reason for this, doubtless, is that God did not choose to divulge some things to us about the second coming of Christ. There are some matters, however, regarding this occurrence about which the Bible is very plain. The promise of his coming again is frequently stated in the New Testament. There are as many as fifty passages that deal with his return, and most of them are clearly, unmistakably, understood. Let us observe a sampling: “This same Jesus, who is taken up from you into heaven, shall so come in like manner as ye have seen him go into heaven” (Acts 1:11). “If I go and prepare a place for you, I will come again, and receive you into myself that where I am, there ye may be also” (John 14:3). “For this we say unto you by the word of the Lord, that we who are alive and remain unto the coming of the Lord shall not prevent (precede) them which are asleep. 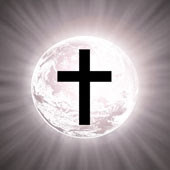 For the Lord himself shall descend from heaven…” (1 Thessalonians 4:15-16). “Looking for that blessed hope and the glorious appearing of the great God and our Savior Jesus Christ” (Titus 2:13). “But we know that, when he shall appear, we shall be like him; for we shall see him as his is” (1 John 3:2). 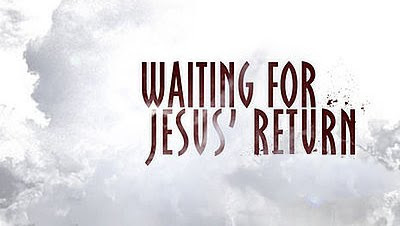 There is no doubt about it, our Lord is coming back. Are we anxiously awaiting his return? The reason for Jesus’ return is put in very simple terms in the Bible – to reward the righteous and to punish the wicked. In describing the judgment scene, the Lord said: ‘And these (the wicked) shall go away into everlasting punishment: but the righteous into life eternal” (Matt. 25:46). And Paul, in later years, said that God would “recompense tribulation to them that trouble you,” but that he would give rest to you who are troubled, “when the Lord Jesus shall be revealed from heaven with his mighty angels, in flaming fire taking vengeance on them that know not God, and that obey not the gospel of our Lord Jesus Christ: who shall be punished with everlasting destruction from the presence of the Lord, and from the glory of his power” (2 Thess. 1:6:9). “Then shall the wicked be revealed, whom the Lord will consume with the spirit of his mouth, and shall destroy with the brightness of his coming” (2 Thess. 2:8). “Henceforth there is laid up for me a crown of righteousness, which the Lord, the righteous Judge, shall give to me at that day: and not to me only, but unto all of them also that love his appearing” (2 tim. 4:8). Edward Gibbon, the English historian, who wrote the Decline And Fall of the Roman Empire, gave several reasons for the rapid growth and strength of the church in the first century. Among these reasons was the belief in immortality: ‘When the promise of eternal happiness was proposed to mankind on the condition of adopting the faith and of observing the precepts of the gospel, it is no wonder that so advantageous an offer should have been accepted by great numbers of every religion, of every rank, and of every province in the Roman empire.” But he further stated that “the most dreadful calamities were denounced against an unbelieving world.” The Christian looks with happy anticipation to his return, for then shall the righteous (both those who are alive at his coming and those who are asleep) be caught up “to meet the Lord in the air: and so shall we ever be with the Lord” (1 Thess. 4:17). WHAT WILL TRANSPIRE AT HIS COMING? 1. The resurrection of the dead. “But every man in his own order: Christ the firstfruits; afterwards they that are Christ’s at his coming” (1Cor. 15:23). 2. The body of the Christian will be changed. “In a moment, in the twinkling of an eye, at the last trump: for the trumpet shall sound, and the dead shall be raised incorruptible, and we shall be changed. For this corruption must put on incorruption, and this mortal must put on immortality” (1 Cor. 15:52-53). 3. All men will be judged. “For we shall all stand before the judgment seat of Christ” (Rom. 14:10). “… the word that I have spoken, the same shall judge him in the last day” (Jo. 12:48). “For the hour is coming, in the which all that are in their graves shall hear his voice, and shall come forth; they that have done good unto the resurrection of life; and they that have done evil unto the resurrection of damnation” (Jo. 5:28-29). Look at the judgment scene in Matthew 25:41-46. 4. The end will come. ” … afterwards they that are Christ’s at his coming. Then cometh the end, when he shall have delivered up the kingdom of God, even the Father, when he shall have put down all rule and all authority and power” (1 Cor. 15:23-24). 5. Christians will be taken to heaven. (See 1 Thess. 4:17; Jo. 14: 2-3). 6. Death will be destroyed. There will be no more death. “Death is swallowed up in victory. O death where is thy sting? 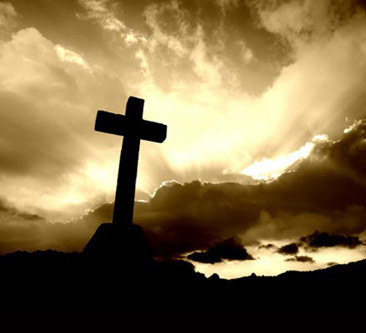 O grave, where is thy victory?” (1 Cor 15:54-55). With this promise of the occurrence of all these wonderful events at his coming, we should look forward to that day with great joy. WILL HIS KINGDOM BE ESTABLISHED THEN? There are many theories taught in our time to the effect that when Jesus returns, he will set up his kingdom in Palestine and rule over the earth for a period of a thousand years. This doctrine, or any variation of it, is nowhere taught in the Bible. It is difficult to know how fictitious and fatuous ideas get started. Gibbon remarked upon this subject. “When the edifice of the church was almost completed the temporary support was laid aside” and the doctrine of Christ’s reign on the earth was rejected by the church. The theory of a thousand years’ reign of Christ on earth after his second coming makes the church a spiritual contingent, or accident (not planned, happened by chance), deprecates the Son of God, lessens the value of the church, reflects upon the intelligence of God and belittles the price Jesus paid for our sins (Acts 20:28). It is a failure to understand or a refusal to accept that the church is a kingdom, that Christ is now King, that Christians are citizens in that kingdom and that the New Testament is that official register and guide for our lives. There is no doubt about it, Jesus Christ is now King. He is King of kings and Lord of lords (1 Tim. 6:15). Jesus himself affirmed that during the period of regeneration (when men are born again), “when the Son of man shall sit upon the throne of his glory, ye (twelve apostles) also shall sit upon twelve thrones judging the twelve tribes of Israel” (Matt. 19:28). Paul declared that when Jesus comes again, he will deliver the kingdom up to God (1 Cor. 15:24). Instead of “taking up” rule and authority and power, he will “put down” all of these. Then Paul makes the very strong statement: “For he must reign, till he hath put all enemies under his feet. The last enemy that shall be destroyed is death” (1 Cor. 15:25-26). There are two evident truths worthy of our consideration in these passages: (1) “He shall reign till… ” The word “reign” in this passage means “to be king.” Paul is saying, “Christ will be King till… ” (2) The extent of that reign will reach to the resurrection, or until death is destroyed. But in this chapter Paul declares that death will be destroyed by the resurrection (verse 54). So, Christ is now King and will continue to be King until the resurrection. Jesus has all the attributes of a full-crowned king: (1) He has all authority (Matt. 28:18). (2) Everything is made subject to him (Eph. 1:22-23). (3) He has a name that is above every name (Eph. 1:21; Phil. 3:9-10). (4) He exercises the power to deliver men from darkness and translate them into his kingdom (Col. 1:13). (5) He is highly exalted “far above all principality, and power, and might, and dominion” (Eph. 1:21). He will continue in this position until he comes back to judge the world. No man knows. No prophecy indicates that time. No passage reveals that day. It is pure speculation to name a day, and one who presumes to do so is a false prophet. Peter informs us, with reference to it, “But the day of the Lord will come as a thief in the night” (1 Pet. 3:10). It will be the last day (Jo. 6:44). 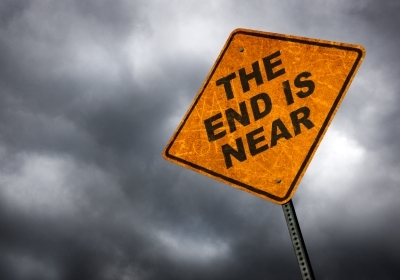 It will be the end of time (1 Cor. 15:24). We are admonished to “watch and be ready,” to make that preparation to meet him in joy and peace at his coming. “For what is our hope, or joy, or crown of rejoicing? Are not even ye in the presence of our Lord Jesus Christ at his coming? (1 Thess. 2:19). How can we be sure Jesus is coming again? In simple terms, what is the reason for Christ’s return? Name six things that will transpire when Jesus returns. When was (or will) Christ’s kingdom be established? What are the attributes of a king which Jesus possesses? Just when will the Lord return?